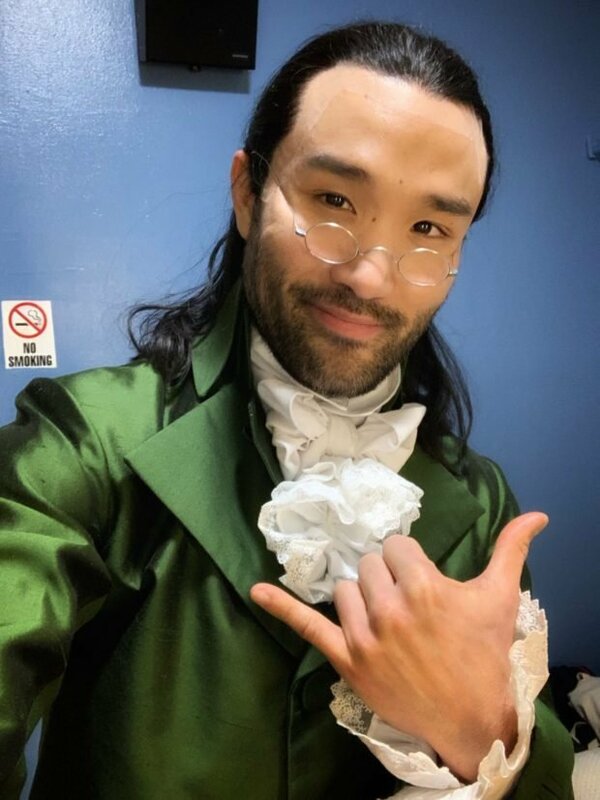 NEW YORK — “I felt an incredible sense of accomplishment and relief,” confides Marc delaCruz, on being asked to portray the lead role of Alexander Hamilton in the hit musical “Hamilton.” He’s the first Filipino American to play the role. DelaCruz is an actor in the ensemble and the understudy for the title role. An understudy takes over the role in case the originally assigned actor is unable to perform. DelaCruz joined the production last year and debuted as Alexander Hamilton this January. Created by Lin Manuel Miranda (who also co-wrote songs for the Disney animated film “Moana” and is an actor in the Disney film “Mary Poppins Returns”), the multi-awarded musical is about the life of Alexander Hamilton, a statesman, one of the Founding Fathers of the U.S., as well as the founder of the nation’s financial system. “My first performance as Hamilton was scheduled for January 20, but I ended up going on for the first time one day early. We were at the theater for a music brush up rehearsal that day and as soon as it was over, our stage manager called me and asked if I felt ready to go on that night,” he said. “I said yes. I was ready and would be happy to do it. By that point, the anticipation of going on had been building up so I was eager to get the first performance under my belt. DelaCruz made his Broadway debut in the musical “If/Then,” which starred Idina Menzel (“Wicked,” “Frozen”). Prior to that, he had cut his teeth with credits such as Thuy in “Miss Saigon” and Chip Tolentino in “The 25th Annual Putnam County Spelling Bee.” He’s been in the national tour of “Disney’s High School Musical” and in the world premiere cast of “Allegiance” at San Diego’s Old Globe Theatre alongside Lea Salonga. DelaCruz, whose father is Filipino, was born in Hawaii and raised in Seattle. He trained in dance while studying at the University of Washington. While in college, he was cast in his first professional production, “The Fantasticks,” with the Northwest Asian American Theater Company. He went on to act for theater groups in Seattle such as ReAct, Village Theatre and the 5th Avenue Theatre. His journey to the role began with two songs at his first audition. Then came more and more songs at every callback audition and meeting more and more of the show’s directing and music supervisors and other co-creators. When delaCruz found out he’d been accepted into the show, he was in the middle of preparing for the Off-Broadway show “Ordinary Days” with Keen Company. It’s apparent that delaCruz is not only adept at multitasking, he’s a versatile actor as well. His main assignment in the show is to be in the ensemble and to perform three characters: Philip Schuyler, James Reynolds and the Doctor. Then comes the Alexander Hamilton understudy assignment. But that’s not all. He is also the understudy for three more characters: John Laurens/Philip Hamilton (two roles assigned to one actor) and King George. And there is no resting on laurels for the man. “Hamilton” has productions in New York, Chicago, Puerto Rico, London, one slated to open in San Francisco in February and two touring productions in the U.S.
On Broadway, delaCruz joins Filipino Americans Karla Garcia, the production’s Co-Dance Captain, and Christina Glur, a swing—an actor who knows multiple roles and fills in for absent actors. There are also Fil-Am actors in the two touring productions. In the Angelica cast, Isa Briones plays Peggy Schuyler and Maria Reynolds; and Jon Viktor Corpuz plays John Laurens and Philip Hamilton. In the Philip cast, Aaron Albano is in the ensemble and plays Samuel Seabury. Filipino recording artist Rachelle Ann Go is currently playing Eliza Schuyler-Hamilton in the London production. 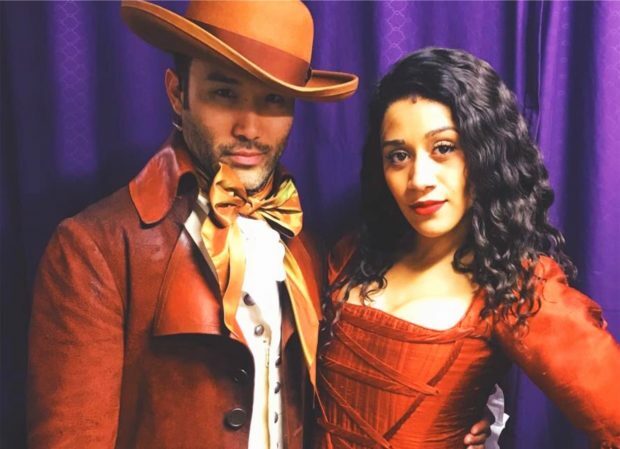 READ about Isa Briones acting in the touring production of ‘Hamilton’ here.